THE WADE RAIN 9-30 HAND PRIMER is designed to evacuate air from your centrifugal pump and suction lines up to 4” in diameter. The 9-30volume per stroke is approximately 1/3 gallon. 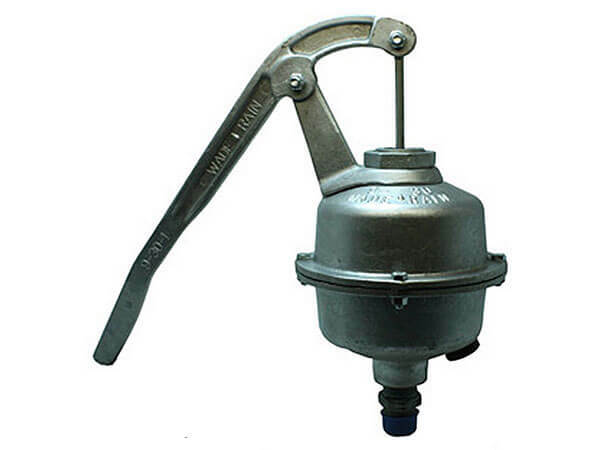 Manufactured of cast aluminum for long life and has horizontal pump handle with rubber diaphragm and check valve to allow for single direction of flow. Made in the USA.